Thats is my FJ right behind them . I actually lead that trail . The FJs are from the next day . If you look close when the first one goes up , Up towards the Top of the Hill DebFJVT and i were parked up there and watching . You can see her FJ up there . NyNomad, debFJVT, Iconic_ and 2 others like this. Dang it! The IT clowns blocked YouTube at work! 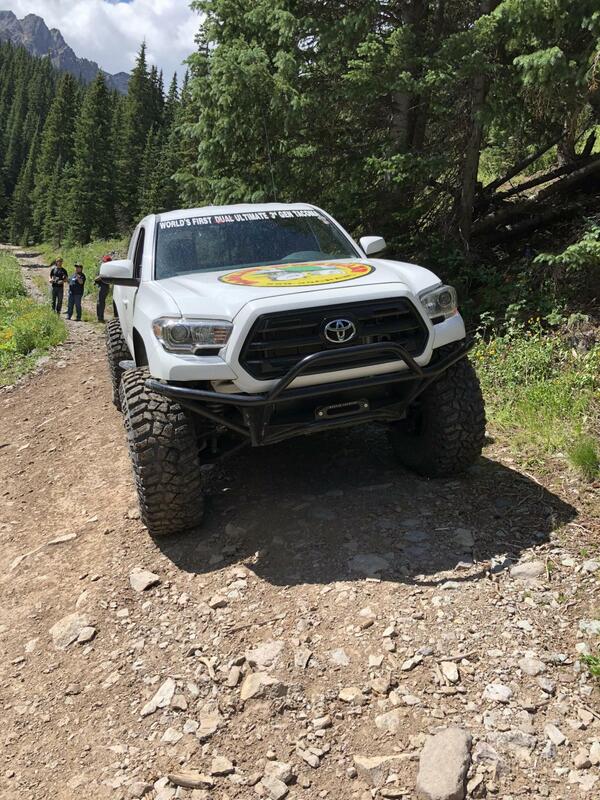 Cool, did you watch the tacoma crawl up the hill, and have you seen this video? 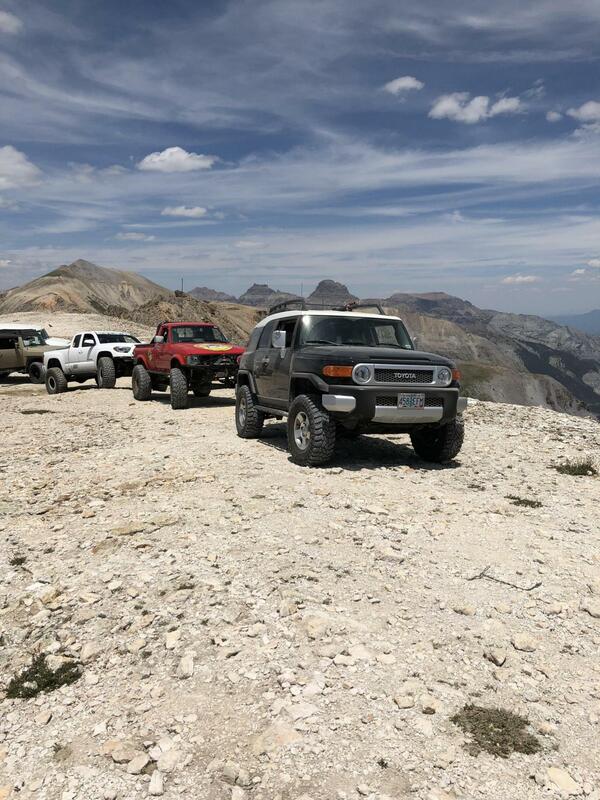 That last fj was almost a parts truck. People while his truck was crawling around on its own . They will be back again this year also. . You can buy a taco box but you need to modify the gas tank . I went with a Atlas for that reason . I know that they are working on a bolt in unit like the Lefty again . FJFool and Lee44 like this. Hah! I'm in there. In my defense, I could've spun the wheels about half as fast as I did and probably still been fine... But yeah, watching the 580:1 just walk up does make me a bit jealous. 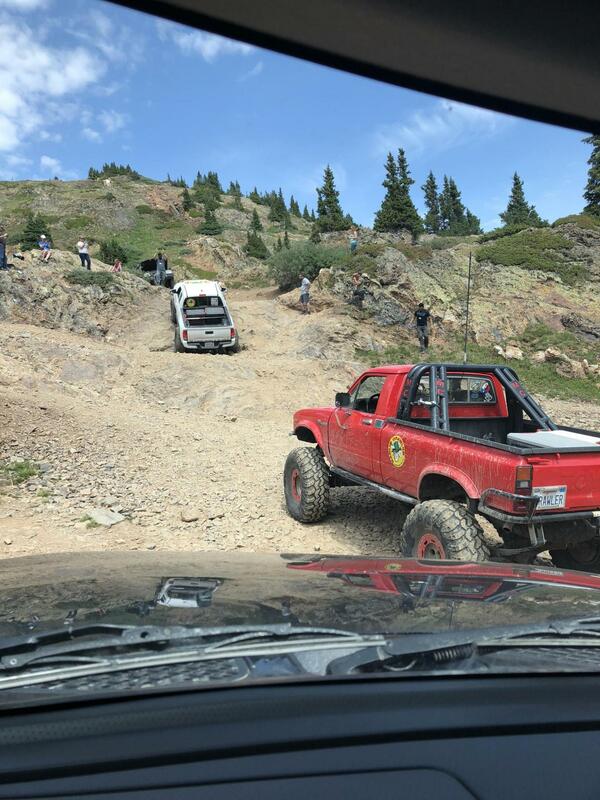 I've never taken my rig rock crawling so I'm ignorant about most of the technical stuff, but the spotter for the last FJ seems to have made some unwise decisions. Not a good idea to grab onto a vehicle that's about to roll over right? People do it sometimes and I always shake my head. Let my FJ roll if its gonna go! I don't care and definitely don't want someone else hurt.